accentuating its history and those like it. If you look at the Cleveland River Landscape, it is evident that bridges played a big role in its commerce. Most of the bridges are on the historic registry, a total of 29. Being considered a landmark by many, one of these historic bridges is the Detroit and Superior Bridge. I believe landmark have stories, stories built on a rich history and connection. 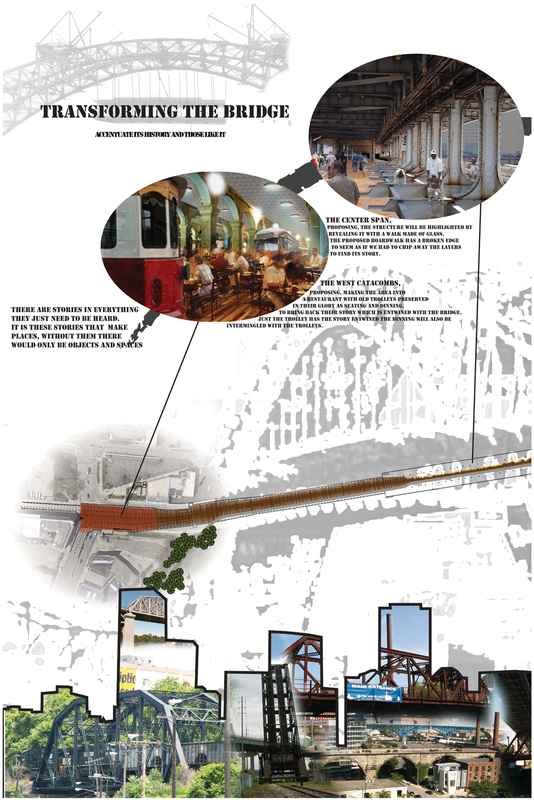 By redesigning the bridge and creating a new program for the lower deck we are adding to the rich history. 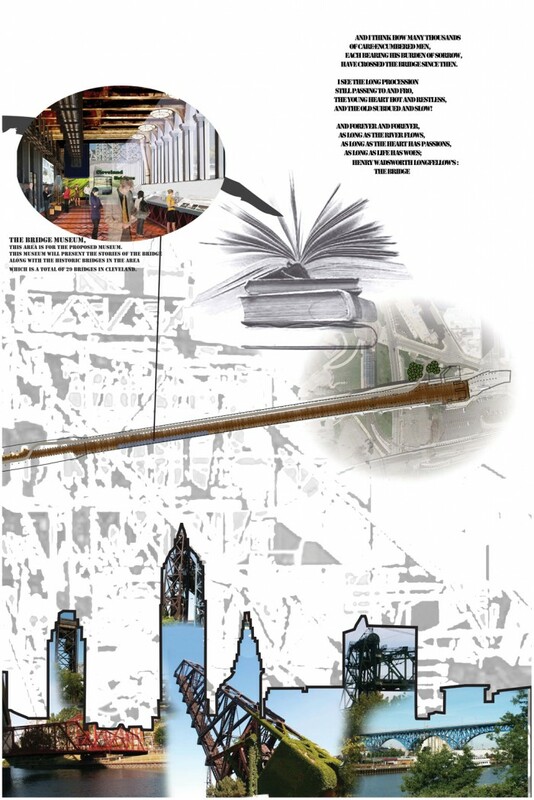 I propose that the design and program connects this history as well as highlights the bridge, to future ideas and stories. 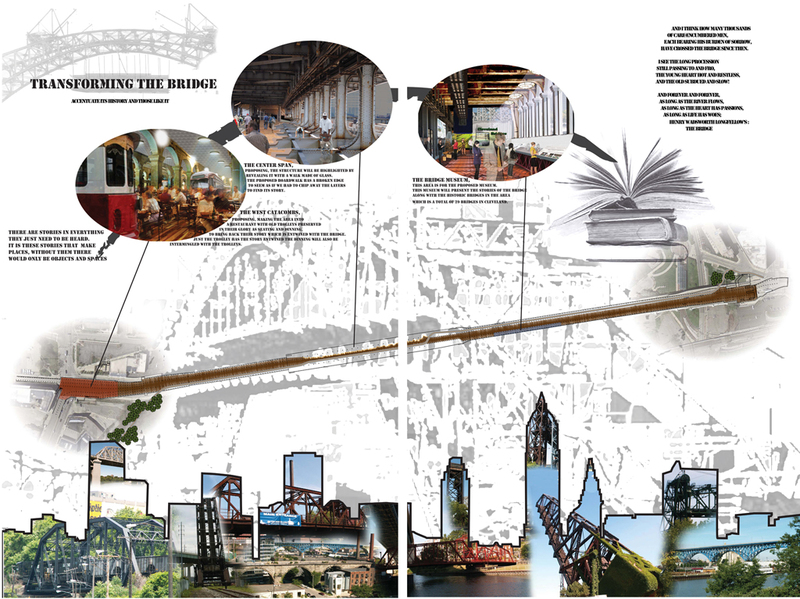 To highlight this history my design will follow the changes the bridge has gone through, by putting a bridge museum. People can learn about the historic bridges in the museum. When reaching the center span the bridge will have segments of clear walking surfaces to reveal the support structure. Bicyclists are important for the history and future of the bridge that is why there will be a paved bike route through the entirety of the bridge along with a pedestrian boardwalk. The last installation is a restaurant where people can enjoy the structure of the west catacombs and create new stories.